Not Verified | Thought I was getting a great deal when I bought tickets for $98 one-way going from Las Vegas to Cancún. When we arrived at the Las Vegas airport they said our second leg from Mexico City to Cancun was canceled. The ticket agents ticketed our luggage all the way to Cancún. Even though the flight was canceled and we ended up in Mexico City. I had to pay an extra $750 to a different airline to finish up our trip for five people. We didn’t get our luggage until after two days of our seven day vacation due Interjet error tagging luggage wrong. They did nothing to reimburse me for the airline tickets, or the additional $750 I had to pay for last minute changes through another airline because they canceled the second leg and couldn’t accommodate getting us to Cancún our destination. Do not fly this airline or you’re going to get a surprise on the day you travel with NO reimbursement AND it’ll cost you five times as much. "this airline made me furious"
Not Verified | Cancun to Toronto. I will not fly with Interjet again. I have traveled extensively and am extremely easy going- but this airline made me furious. As per the previous reviewers comments, my husband and I were on the same flight and everything they said about the chaos of the check-in process was true. We stood in line from 2:30 pm to check in, and did not get to the check in desk until 4:50 pm (our flight was 4:55 pm). We were in reasonably good spirits assuming that because they had not processed such a large number of guests, that the flight could certainly not take off without us. (Wishful thinking only, the staff did not communicate with us at all). When we finally got to the check in desk, I put our 2 passports on the counter (with a sigh of relief). I was asked to back up while the Interjet staff and the Airport assistance worker processed an elderly couple in a wheelchair first. We stepped back, kind of laughing at our bad luck to wait so long just to have to wait a little longer, but totally understood because it was an elderly couple. Then the Interjet man and the Airport employee waved a younger couple over to the check in desk as well. Once the group was checked in, the employees then waved over more couples, with no apparent need for assistance. We noticed the first couple paying off the employee. The couple had paid the airport employee to get them from the back of the line to the check in counter, by pairing them with an elderly couple of no relation. The employee then thought he could do it again with another group of young people. This was enraging because after nearly 3 hours in line they were trying to process people who had arrived much later, for a flight that was departing an hour after ours. The Interjet employee would clearly be able to see that the group was not flying together or to the same destination. I was absolutely disgusted by this. Will never recommend this airline to anyone, they put customers who bribe ahead of honest customers. ✅ Trip Verified | Toronto to Cancun. This was our first experience with Interjet, and will be our last. 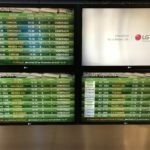 My husband and I had a horrible experience with the check-in process at the Cancún airport. 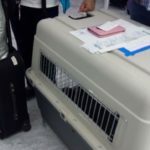 Interjet clearly did not properly staff the counter, nor was your staff correctly trained. It was highly inefficient, and the lack of communication exacerbated the issues significantly. We arrived to the airport at 2:30pm for our 4:55pm flight. We were unable to checkin online for the flight, and were trying to find out if everyone had to wait in the passenger baggage check line, or if it was only for passengers checking bags. We spoke to four Interjet representatives, two said the line was only for customers with baggage, and that we could checkin with the Kiosk. The other two said everyone needs to wait in the line. I speak both English and Spanish fluently, the representatives were unable to provide a clear answer in either language. My husband went to try the kiosk to no avail while I waited in line because Interjet employees could not agree on the process. It is not acceptable in 2019 not to have an online check-in. This is a standard feature in the airline industry, and I am not aware of any other company who does not offer online check-in. The line was moving extremely slow, it took over 12 minutes to check in one person. People from Mexico traveling to Canada were given additional forms upon arriving at the desk, rather than providing the forms ahead of time to reduce the time in the line. Finally, at approximately 4:00pm, they opened a "Toronto only" line. There was no one from the airline to help redirect the lines, it was very confusing, and no communication was given. Other "Canada" lines were handling passengers for other flights that were leaving later, instead of handling the Toronto passengers as a priority. No communication was given regarding whether our flight would be delayed. I checked the website, and it said the flight was departing on time. When we finally made it towards the front of the line, after approximately an hour and 45 minutes, I tried to ask one of the customer service representatives if the flight would be delayed to accommodate the late check-in process. She said the flight would not be delayed, but they would wait for people to check-in. I asked her if she could make an announcement to let everyone know, she told me "No, there are too many people. How would I do that?" I asked her to make an announcement over the sound system, and she said "No, I have already told you what you need to know." She was very rude and unprofessional. Their staff's lack of communication greatly exacerbated the issues with the check-in process. People were frantic, and started cutting the lines. At one point someone cut from the back of the line, people were chanting "¡Fuera!" And the authorities had to come over to the Interjet designated area to try and calm down the patrons. We arrived on the plane at approximately 5:20pm. There was another 40 minute delay waiting for the General Declaration. No announcement was made until almost 6:00pm as to why were were still waiting. Interjet was the only one at the Cancún airport with significant lines. Every other airline was properly staffed and handling their customers at a much faster rate. Their staff's lack of organization, communication, and professionalism caused all of these issues. "it was a great flight"
✅ Trip Verified | Tuxtla to Mexico City. Because of the bad reviews we were really worried but it was a great flight. On time, clean plane, even with the cheapest fare you have one checked baggage included, all the announcements were made in English, free drink & snack during the flight. Plus you’ve got plenty of leg room and the fares are cheap! Totally recommended! ✅ Trip Verified | Los Angeles to Cancun flight. The cleanness of the airplane was very questionable. -he captain was not updating the flight info. We had no idea where we are and when we get there. The crew were unprofessional and unhappy. In fact two of them very rude and throwing out snacks on my kids lap instead of handing it to us! For a 5 hours flight, they had no blanket and no meal to even purchase. It was so disappointing. "never saw the bag again"
Not Verified | On our return trip home to Canada flying from Cancun - Interjet lost our family luggage. We paid a handling fee on checking the bag and we never saw the bag again. Over the past 3 weeks since losing the bag we have tried speaking over the phone, constantly redirected & put on hold. We were lied to, a representative stated that luggage isn’t deemed lost until it’s been 21 days missing, after I found that the website says 8 days. Very few of the reps speak English. We’ve tried emailing multiple times. Not one person has been able to answer our questions! Still waiting to hear about compensation for the luggage and compensation for items we’ve had to replace out of necessity since getting home. Not Verified | The worst airline ever. I had a flight booked from JFK airport in New York to Cancun set to depart on March 17, 2019 at 6:55 am. Less than 24 hours before that time, I went to double check my boarding pass and check in online and saw that, with no prior notification, my flight had gotten changed to 4:40 pm that same day, and was going to Mexico City instead of Cancun. 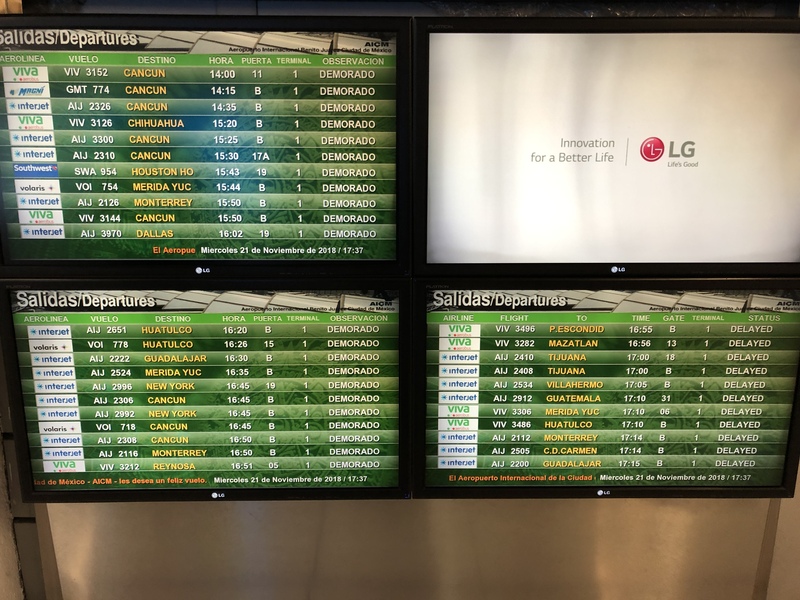 Then I would have to wait at the Mexico City airport for nearly 12 hours to catch a 7:35 am flight to Cancun the next day, causing me to lose an entire day of my vacation. Interjet sent me no prior email to notify me of this change, if I had not went to check myself I never would have known. On top of that, when I called customer service, I was put on hold for over 3 hours the first call, and hung up on three times. ✅ Trip Verified | New York to Cancun. Worst airline ever. Changed our departure day without us knowing and just put us in a really bad position missing vacation, wasting money and the worst thing they did it without us knowing. Just changed our departure date for the next business day, probably because they oversold or some other problem. Never ever again. Not Verified | Cancun to New York JFK. It was my worst experience for my 30 years of traveling. On 13 March I had to fly from Cancun to New York JFK on 6:15PM and I was at airport in 5:00 PM , after it took 30 minutes procedures at Car Rental to give back the rented car. 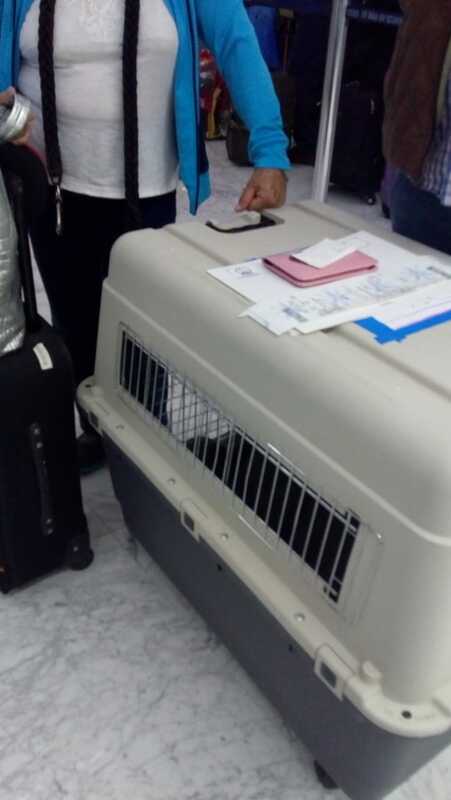 When I wanted to checkin baggage, the Interjet staff told me that i can’t fly today and I an going to miss the flight beacuse the flight closes 1 hour before the flying scheduled. Never heard something like this , then I was told to ask the superviser. And he told me the same, and I told him it’s still one hour left and you still didn’n start boarding and this airport is small. He said that it’s almost closed and there is no time to make prepare some migration documents (imagine Migration docs wile i was entering as tourist and i wanted to leave) and didnt want to help anymore, then they wanted me to sell two tickets for 900 dollar. Of course i found on the internet the next flight with Delta and the two tickets cost 389 dollars. So i had to stay all night in the airport and then spend some 100 dollar more to eat drink etc, so Interjet made my vacation terrible.